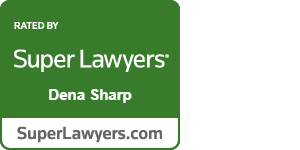 Dena Sharp is a problem solver who simplifies even the most complicated issues in class action litigation. Dena currently represents prescription drug purchasers as co-lead counsel in In re Restasis Antitrust Litigation and as a member of the End-Payer Steering Committee in In re Generic Pharmaceuticals Pricing Antitrust Litigation, a massive price-fixing case against dozens of drug companies. She also represents clients of a fertility center whose eggs and embryos were affected by a freezer tank malfunction. As co-lead counsel in In re Lidoderm Antitrust Litigation, a “pay-for-delay” antitrust case that settled for $104.75 million on the eve of trial, Dena worked with her team to win class certification, defeat summary judgment, and obtain the largest recovery for a class of end-payers in similar federal litigation in more than a decade. She has also played a key role in a variety of other high-profile cases, including representing investors in litigation arising from Lehman Brothers’ bankruptcy and in matters involving Ponzi schemes and accounting fraud. Outside the courtroom, Dena was recently elected as a member of the American Law Institute. She is co-author of the widely-cited Sedona Principles: Best Practices and Principles for Electronic Document Production (Third Edition). 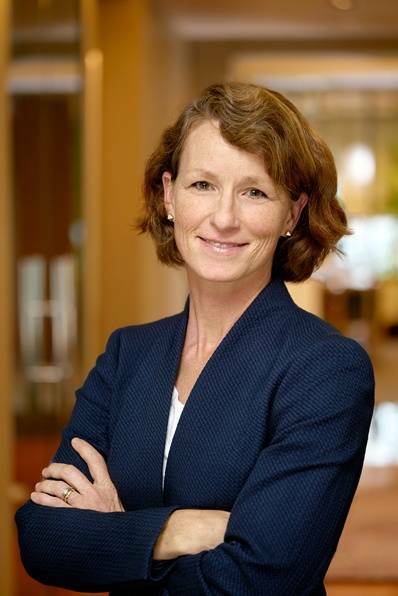 She serves on the board of directors of the Impact Fund, a public interest nonprofit, and as vice chair of the Advisory Council for the Duke Law School Center for Judicial Studies. An editor of the Duke Law Proportionality Guidelines and Best Practices, Dena is also co-author of a chapter in the ABA's "Class Action Strategy and Practice Guide." A first-generation American, Dena is fluent in Spanish and German. Co-lead counsel in this monopolization case against pharmaceutical giant Allergan for its multifaceted strategy to delay generic competition in the market for the blockbuster drug Restasis. Co-lead counsel in this “pay-for-delay” litigation against three drug companies. Settled a week before jury selection only after the class was certified and summary judgment had been denied. The $104.75 million settlement represents the largest end-payer recovery in absolute and percentage terms in any federal pay-for-delay case in at least the past decade. Member of the End-Payer Plaintiffs’ Steering Committee in this massive price-fixing case against dozens of drug companies, where executives have pleaded guilty to collusion and 48 state attorneys general have alleged a sprawling conspiracy on the part of the drug makers. Representing plaintiffs who allege their frozen eggs and embryos were affected by the failure of a cryopreservation tank at Pacific Fertility Center’s San Francisco clinic in early March 2018. Representing direct purchasers in a multidistrict proceeding that follows several executives pleading guilty to fixing the prices of capacitors, tiny electronic components found in devices from toasters to cell phones. Nearly $100 million in settlements to date and the case is proceeding to trial. Lead counsel for investors in the securities litigation arising from the largest bankruptcy in United States history. Recovered $120 million on behalf of structured note investors and helped secure total recoveries of over $700 million. Co-lead counsel for investors in Oppenheimer’s California Municipal Bond Fund, which misled investors about its investment risk and then lost nearly half its value. Recovered $50.75 million for the certified class of investors. Lead counsel team for the plaintiffs in this Ponzi scheme litigation, ultimately recovering $150 million for investors. Lead counsel team in accounting fraud litigation brought under Rule 10b-5 that resulted in a $35 million recovery. Co-author, Appeal This: When Can a District Court Include Attorney’s Fees in an Appellate Bond?